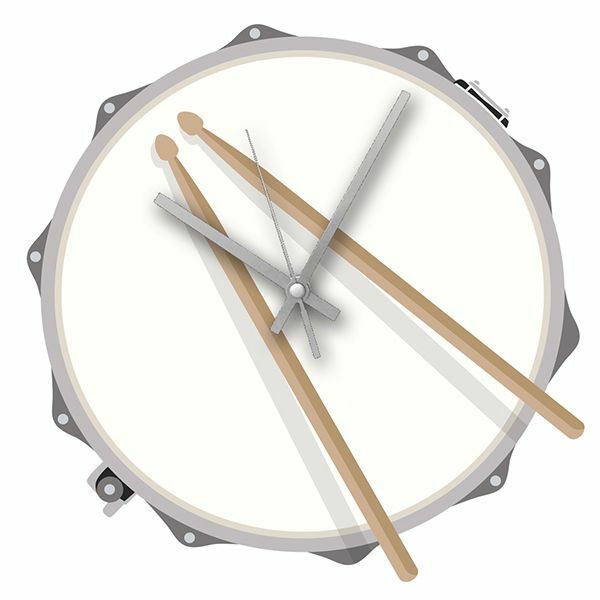 Drum Pad wall clock in a modern design and black coloured hands making a lovely music gift for any drum player, drum teacher or drum enthusiast. Comes boxed for safe protection. For more music themed clocks visit our musical clock section.